“A range of activities involving study skills such as counting, comparing, sequencing…. Etc are outlined.” Also we can use these to help kids to move and perform the activities of the story thus adding the physical side to the work done. This is what we call TPR – Total Physical Response. Masuko also suggests using it to develop children drawing skills as well. This can also be linked or used to practice Math, Science, Geography and Physical Education skills. This can be used with much older students and help them to compare the figuring of foxes and wolves in stories as bad guys. 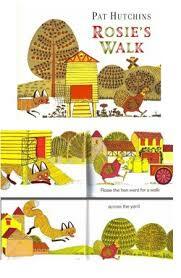 This story can be compared to other stories like Little Red Riding Hood, The Three Little Pigs as well as others. These can also be contrasted with Big Bad Wolf is Good. Also the usage of different animals in stories in different cultures can be discussed as well. These interesting points mentioned, remind me of Bloom’s Taxonomy, HOTS (High Order Thinking Skills). The HOTS steps deal with the developed application, analysis, evaluation and creation skills. The Application of the steps suggested by Masuko help students function the usage of language learnt. By comparing and contrasting stories, we are helping students to think in class, reflect upon what they have studied, analyse and then speak of write about. This is a great way of applying Critical Thinking in class. When preparing to present their opinions and reflections, students can use mind maps, PPPs, short notes or summarize or even put it in a report form. This helps students develop their Writing skills greatly as well as their Speaking ones.